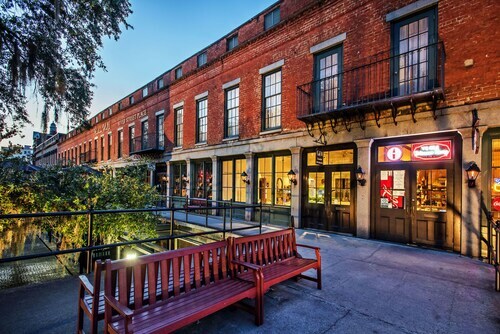 Housed in a former 19th-century cotton warehouse, River Street Inn is within a 10-minute walk of City Market, Telfair Museum of Art, First African Baptist Church, and Ships of the Sea Maritime Museum. 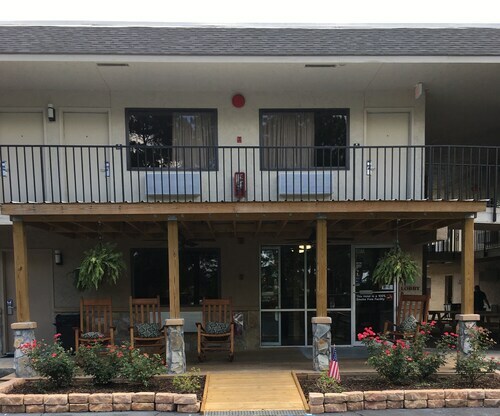 Situated in Richmond Hill, this motel is 2.7 mi (4.4 km) from Richmond Hill Historical Society Museum and within 9 mi (15 km) of Sterling Links Golf Club and Coastal Georgia Botanical Gardens. Savannah Festival Outlet Center and Henderson Golf Club are also within 9 mi (15 km). 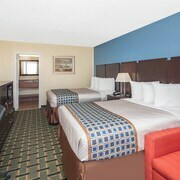 Situated in Savannah, this hotel is within 1 mi (2 km) of Twelve Oaks Shopping Center and Oglethorpe Mall. Hunter Army Airfield is 1.7 mi (2.8 km) away. 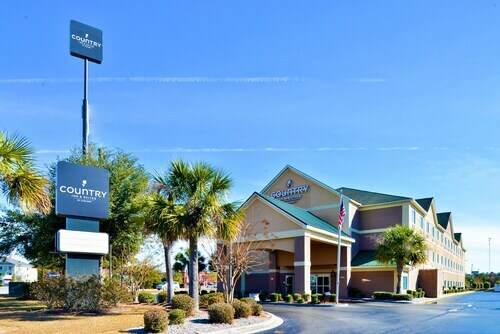 Situated in Richmond Hill, this hotel is 2.6 mi (4.3 km) from Richmond Hill Historical Society Museum and within 9 mi (15 km) of Sterling Links Golf Club and Savannah Festival Outlet Center. Henderson Golf Club and Coastal Georgia Botanical Gardens are also within 9 mi (15 km). 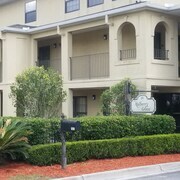 Situated in Garden City, this hotel is within 6 mi (10 km) of Georgia State Railroad Museum, River Street, and Savannah College of Art and Design. City Market and Savannah Civic Center are also within 6 mi (10 km). 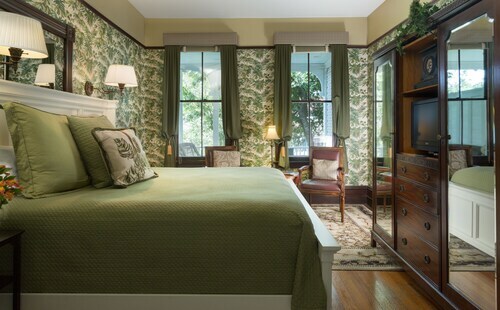 Located in Historic Downtown Savannah, this luxury bed & breakfast is within a 10-minute walk of Massie Heritage Center and Forsyth Park. Savannah College of Art and Design and River Street are also within 1 mi (2 km). 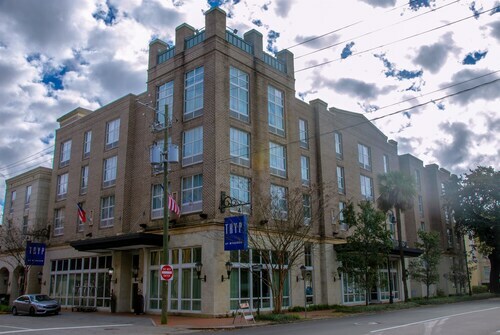 Located in Historic Downtown Savannah, this historic hotel is within a 5-minute walk of Owens-Thomas House and River Street. City Market and Savannah Theatre are also within 10 minutes. 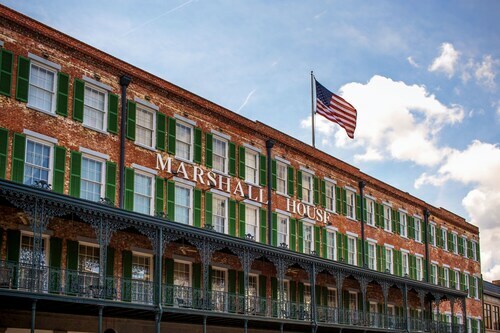 Located in Historic Downtown Savannah, this hotel is within a 5-minute walk of Franklin Square and Ships of the Sea Maritime Museum. Rousakis Riverfront Plaza is 0.3 mi (0.5 km) away. How Much is a Hotel Room in Savannah? 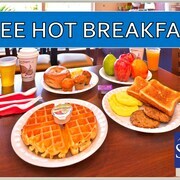 Hotels in Savannah start at $39 per night. Prices and availability subject to change. Additional terms may apply. If it’s southern charm and spectacular views you seek, look no further than Savannah, the oldest town in Georgia. Though this city has a rich history dating back hundreds of years, there are endless contemporary adventures to undertake here as well. From gorgeous resorts and idyllic outdoor escapes, to quaint cultural centers located inside historic homes, Savannah boasts a plethora of activities sure to delight travelers of all kinds. 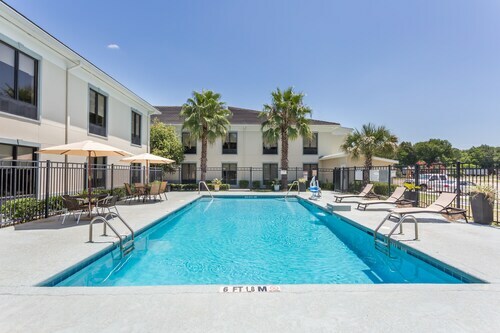 Get ready to start your vacation to the “Hostess City of the South” when you trust Travelocity to help you find the best deals on stays in Savannah hotels. 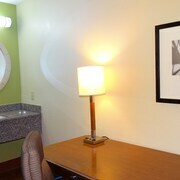 Savannah offers a wealth of excellent accommodations to enjoy during your time there. 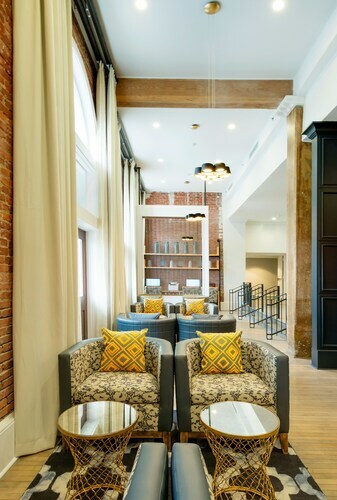 If you’re not sure which locale might be best for you, here’s a look at our picks for four of the best places to stay in Savannah. 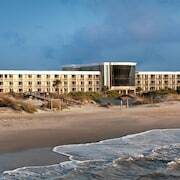 Hotel Tybee for ultimate relaxation: Offering an island-style twist on Southern hospitality since 1889, Hotel Tybee is located on its namesake island about 18 miles off the coast of Savannah. Grab a rod and reel and cast out into the Atlantic from Tybee Island’s fishing pier, or strut your stuff on the pavilion’s dancefloor where local bands regularly perform. Take a trip back in time by climbing the 178 steps of the island’s iconic, 280-year-old lighthouse, or take a tour of Fort Pulaski, a 5,600-acre Civil War battleground that now serves as a National Park. Event space: Whether it’s a wedding, family reunion, or corporate celebration, Hotel Tybee has enough banquet rooms and conference centers to comfortably accommodate up to 150 guests. Dining: Fill your belly at the lively La Dolce Vita, an authentic Italian restaurant and lounge overlooking Georgia’s coast from the hotel’s second and third floors. Swimming and sips: When it’s time for a rest, unwind in either of the hotel’s two outdoor pools, and wet your whistle at the on-site tropical Tiki bar. Event planning: From intimate weddings to large-scale corporate events, Planters Inn offers the services and support you need to pull off a world-class celebration. On-staff event planners and catering professionals can help ensure all the details are taken care of, allowing you to focus on your guests. Dining and drinks: In the mood to relax? The hotel regularly hosts complimentary wine and cheese socials in the historic Olde Pink House Restaurant. Breakfast: Wake up on the right side of the bed by enjoying an authentic southern breakfast buffet at the Hyatt’s Windows restaurant overlooking the rolling river. Vu Lounge: Offering refreshing drinks and light bites, the Vu Lounge is one of Savannah’s best nightlife spots. And as you might guess by the venue’s name, it offers unparalleled vistas of the surrounding area. Café: Stop by Perks Coffee Shop for a coffee, cappuccino, or pastry to go. There are also sandwiches, salads, and other items ideal of eating on-site or on the go. Pool and fitness center: With four heated indoor pools and an always-open fitness center, the Hyatt has what you need to keep up with your workout routine. Event space: A dream setting for events of any size, the Savannah Marriott Riverfront helps you host your meeting or celebration against an impeccable backdrop. Dining options: Foodies and history buffs alike will find a lot to love at this riverside paradise, including high-end restaurants and historic landmarks around nearly every corner. And for those who don’t feel like leaving the hotel, Blue, the on-site Savannah-style bistro serves up American cuisine amid gorgeous surroundings. Gym and pools: In the mood to exercise? Offering a fully equipped fitness center and both indoor and outdoor pools, the Marriott makes it easy for you to stay fit during your trip. 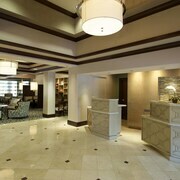 Spa services: Looking for a little relaxation and rejuvenation? The hotel’s magnificent Magnolia Spa can help you find inner peace and outer beauty. 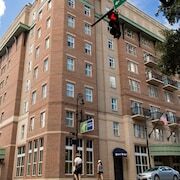 Travelocity makes it easy to book cheap hotels near Savannah for whenever you’re traveling. 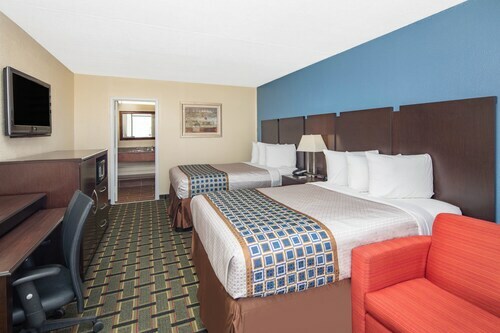 Our extensive assortment of hotels in Savannah is the biggest and best on the web, giving you the greatest number of options before selecting the room that’s right for you. 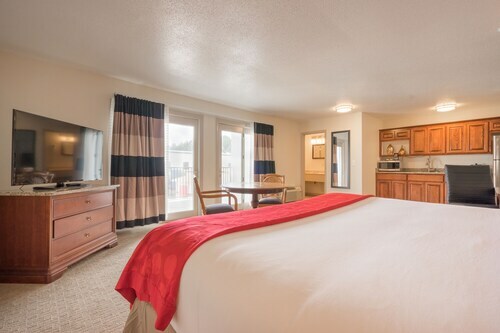 So whether you’re headed here for a wedding, corporate event, or just to do some sightseeing, count on us to help you score amazing deals on Savannah lodging options that you’ll love. Need insider tips on must-see attractions in Savannah? Check out our Savannah travel guide!